The tremendous crushing forces generated by synthetic rope under strain pose no problem for the Hogg and Davis crush-proof rope reel. Built to withstand the massive pressures that destroy ordinary cable reels, the crush-proof rope reel is constructed for the most rigorous applications and designed to last year after year. Ordinary reels can’t hold the enormous pressure generated by wound synthetic rope. As the rope is wound onto a reel, it becomes stretched, but, after winding, the rope attempts to retract to its former length. This retraction or pulling creates immense pressures of over 100,000 PSI which can readily crushes ordinary reels, leaving twisted masses of rope tangled around a useless, demolished reel. 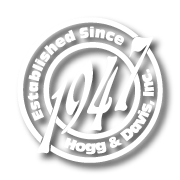 The Hogg and Davis crush-proof reels are specially designed to withstand the crushing forces created with the rope retracts. 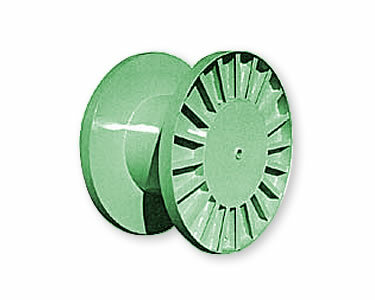 Built with extra heavy wall thickness cores and vertical stress members, the crush-proof reels have a virtually solid core, giving them the strength to endure the enormous pressures of the retracting rope. And they’re cost effective too; the cost of replacing a broken reel in terms of downtime alone can pay for a crush-proof reel. 663036: Diameter: 66″, Distance Between Flanges: 30″, Diameter Core: 36″, Wide Flange: 5″, Mandrel Arbor: 2-1/2″, Approx Weight: 1,800 lbs. 723036: Diameter: 72″, Distance Between Flanges: 30”, Diameter Core: 36”, Wide Flange: 5”, Mandrel Arbor: 2-1/2”, Approx. Weight: 1,900 lbs.